Clarendon Park is pleasant little part of Leicester. It’s a densely packed, prosperous area set strategically between the posh bits of Knighton and Stoneygate and Leicester University. The peace and calm of its shopping area has recently been ruffled by the imminent arrival of a local Tesco. But the independents who still predominate on the Queen’s Road are not giving up. In fact, there’s a heart-warming story of a new opening. 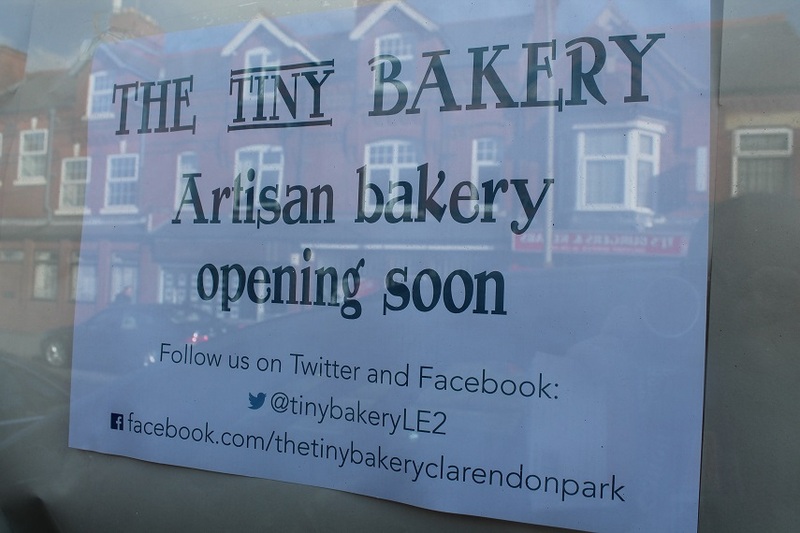 The Tiny Bakery, which opens on 1 March, is in fact located right next to the Megagrocer at 98 Clarendon Park Road. It’s everything Tesco isn’t – local, artisan, handmade, transparent. It’s founded by Lindsay Abraham, a local woman who’s been baking cakes for friends and for local cafes such as Fingerprints for a few years. She will now be selling her own cakes, and has teamed up with David Belcham, another local baker who supplied local shops with artisan bread using the moniker One Man and his Loaf. 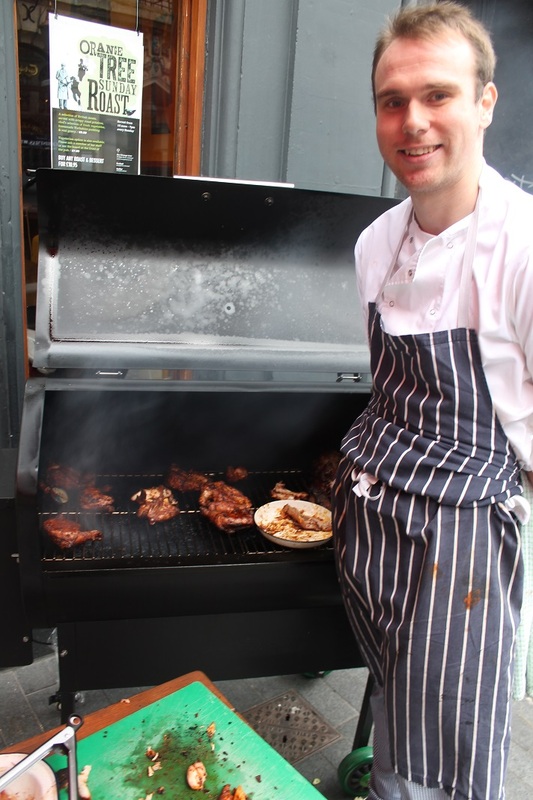 He jumped at the chance at moving from a home baker to a small scale commercial operation. Add in a local pastry and patisserie specialist and you’ve got a team of people raring to go to supply people with high quality baked goods. “Actually, I don’t think Tesco is competition,” says Lindsay. “We know people are looking for good bread, and if you want lovely bread and beautiful cakes, you don’t go to Tesco”. Quality of course comes with a price and the bread and cakes will be more expensive (but much better for you) than the Chorleywood loaves and trans fats doughnuts common at supermarkets, but they are sure the demand will be there. “People will have a choice to make,” says David. “If it’s good enough, people will be prepared to spend a bit more”. Their premises were formerly a chocolatiers and most recently used by a wedding cake specialist. 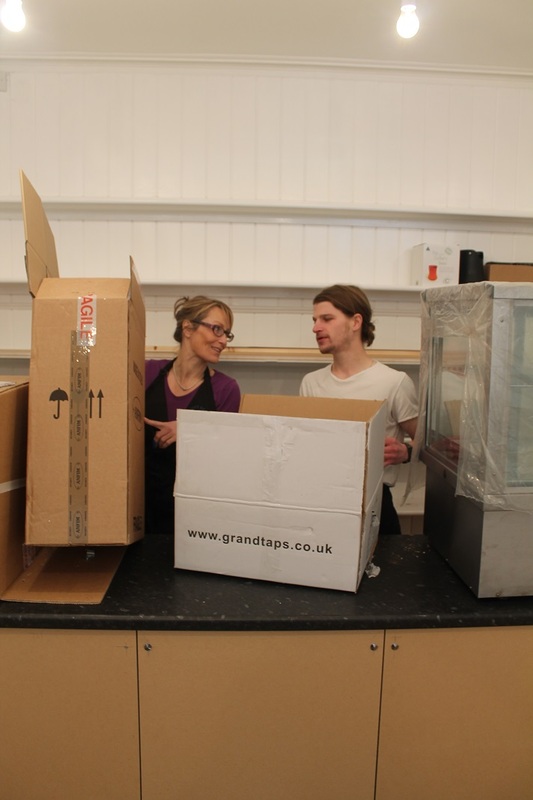 Lindsay has kitted out the rear bakery with commercial mixer, fridge and oven and the front shop is being transformed into a stylish little café. 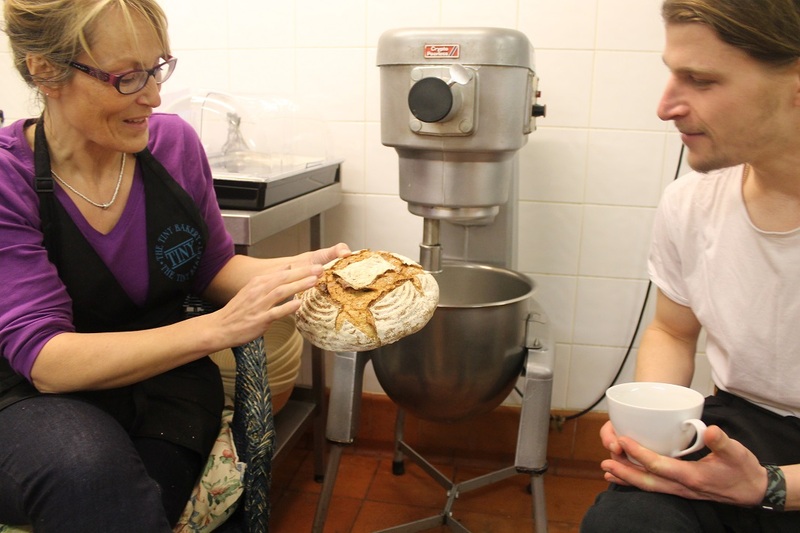 To begin with the shop will be selling “everyday” loaves from Evington’s Ethel bakery, supplemented by handmade speciality loaves from David, using flour from Leicestershire’s Claybrooke Mill. Expect wholemeal, multi-seed and rye to begin with, but the glory of this kind of operation is that they can be nimble and responsive – as customers let them know what they want, the bakers can respond with spelt, sourdough, whatever. At least one day a week there will be gluten-free loaves available. Lindsay will be supplying cakes, cookies, macaroons, meringues and cream cakes and there will also be croissants, pain au chocolate and Danish pastries. There’ll be coffee supplied from the excellent St Martin’s Tea and Coffee, and just a few seats where you can take a few minutes out to relax. * The Tiny Bakery opens on Saturday 1 March. It will be open from 8.30am to 4pm (later on Thursdays), six days a week.